Description: Lion King 3 is a fantastic Bootleg. 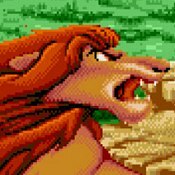 If you enjoyed the original Lion King game on the genesis you will love this one. You get to play as Simbas dad on a quest to save your son. Great level design and you can tell they took there time when making this one!